CALLING ALL ACTORS! Looking for fun flexible work? Are you chatty, confident and consider yourself a bit of a people person? Help us spread the word about the worlds best dog food! 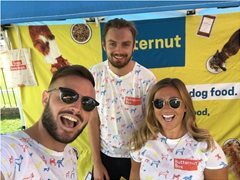 Butternut Box is looking for friendly, Dog loving and charming people to join our sales team. With a mix of weekday shifts and weekend event work, it's the perfect part-time FLEXIBLE job! Resilience is key - give us two weeks to teach you the skills you need to make sales. The experience and skills you will gain from selling with us and learning how to sell will benefit you in all walks of life. Let's talk money- We offer a very generous commission structure and rewards for hard work! Are top selling had made over £1000 in just one weekend of sales. Opportunities to progress - we’re growing very fast and like to promote from within! 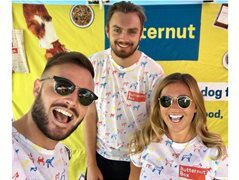 A bit about us - Butternut Box is the first home cooked healthy dog food delivery service. We currently have nearly 4000 happy dogs and owners. The job of the sales team of Brand Ambassadors is to spread the word, promote and sell our Products! Singer Wanted For Brand New Group!! !